Enter: Daily Harvest. For anyone who gets put out about making healthy smoothies, this is fr you. 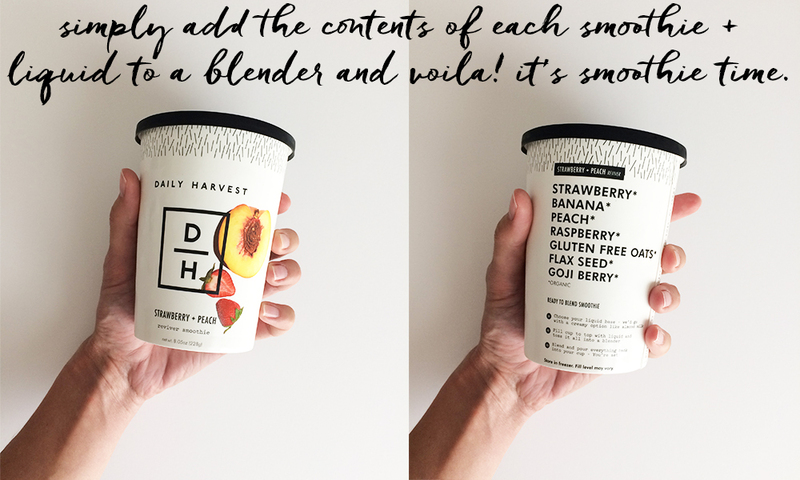 Launched by Rachel Drori, a busy mom looking for an easier way to get Instagram-worthy smoothies, Daily Harvest delivers a varieties of delicious, whole food, superfood eats to your freezer. Simply add the contents of each smoothie + liquid to a blender and voilà. It doesn’t get any easier than that. The beautiful thing? Every single one of these bad boys is completely Prescribe 20 friendly. If you’ve been putting off tackling our 20 day gentle detox, maybe knowing you can get some Daily Harvest delivered to your doorstep will make committing to Prescribe 20 all the more easy. I got to try some of their smoothies and every.single.one was to die for! Seriously. I’ve attempted to create a mint + cacao smoothie countless times before, but this one? Forget it. Topped the charts. The strawberry + peach smoothie? Never wanted it to end. So here’s the breakdown. 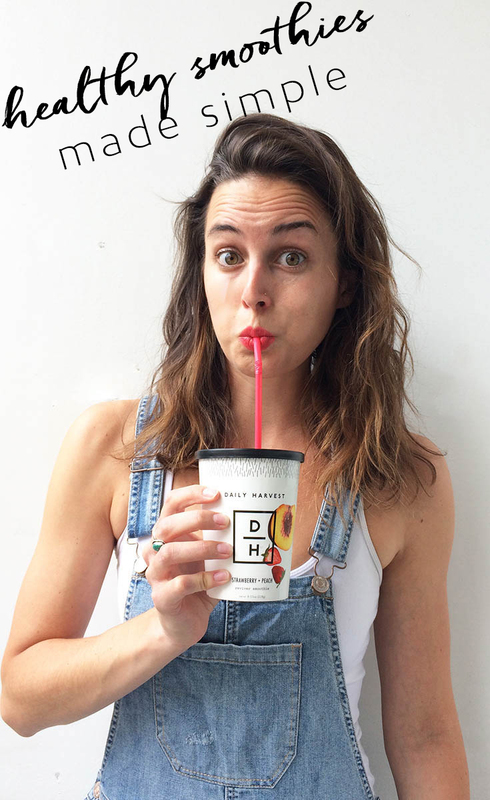 For 6 cups weekly it’s $7.99 a cup (the price drops if you commit to more smoothies). BUT Prescribe Nutrition has a deal for you = THREE SMOOTHIES FOR FREE! Which brings your total down to $23.97 for your first week…that’s $3.99 a smoothie. (!!!) Click here to check out your smoothie options! So there you have it, there’s finally a smoothie option that Prescribe Nutrition can get behind. No added sugars, questionable ‘purees,’ preservatives or fructose bombs. 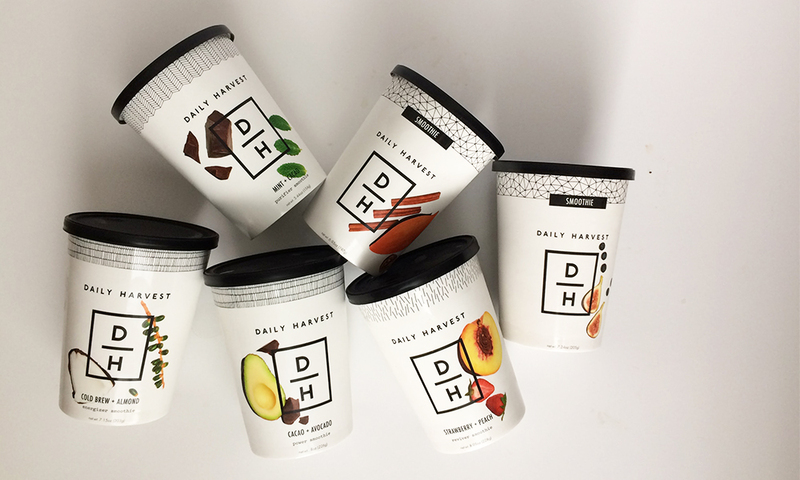 If you’re feeling meh and need a refresh, do yourself a favor and try a week of Daily Harvest. Need a total reboot? Join our next group Prescribe 20 and get smoothies delivered to your doorstep to help you glide through the twenty days. Almost as easy breezy as Tanya’s overalls [says the very jealous Megan]. *We did want to note that this is a subscription service. From their website: Your subscription will automatically renew every week until you cancel. You may cancel in your account settings or by emailing hello@daily-harvest.com and following the instructions you receive. You may cancel at any time, but if you cancel after the weekly cutoff (Saturday at 6 pm ET), you will still receive, and be charged for, the next week’s shipment.